MINK CAMPERS — NORTH BLOG. I think I have just discovered one of the coolest ways l have gotten to explore my homeland Scotland. You’re probably asking yourself what exactly is a Mink Camper? and what is it about this camper that differs from other campers? Well, first let me share with you my adventure of what l got up to whilst roaming around the The North Coast 500 for 4 days. 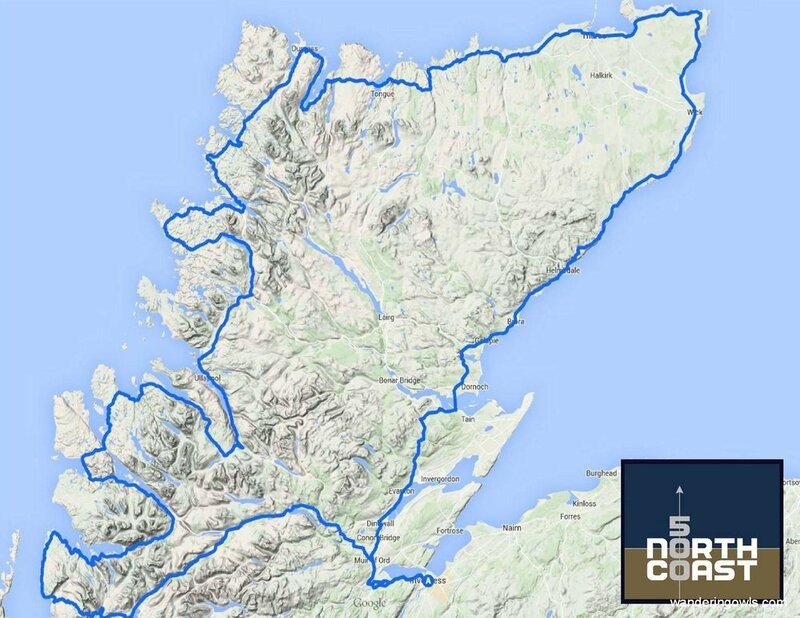 If you don’t know what The North Coast 500 is (or the NC500 as some refer to it) let me give you a brief description. The North Coast 500 is literally a road route thats 500 miles long and goes around the North of Scotland starting from Inverness either driving or walking East to West, or West to East to ensuring you catch some of the best coastal spots in the Scottish Highlands. The North Coast 500! Pretty simple right? 500 miles of the stunning North Coast of Scotland. Personally l would recommend starting from the East then ending in the West, as much as l would love to give a detailed description of why l prefer this route... l will leave it to your imagination and let you try it out and see which route you prefer, but irregardless of what way you decide to start it, you will not be disappointed. It doesn’t matter whether you’re a Scottish native or a tourist, travelling through the Scottish Highlands on the NC500 is one of the most beautiful experiences you will have in your life time. You will see Scottish castles, gorgeous sandy clear water beaches, mountains, an abundance of animal life, and some beautiful geographical features which make Scotland very unique. Let’s also not forget the whisky distilleries, we couldn’t miss those out. This adventure has much to offer and being a Scotsman l am forever being surprised and dazzled by the untouched beauty of Scotland. In 2017 the NC500 had a global audience reach of 2,300,000,000, that in itself is a remarkable achievement for a small country that only has around 5-6 million people, and a testimony to the beauty on the route that brings so many people to travel along it. Now everyone knows what the NC500 is, lets get chatting about the Mink Camper. I like being able to stop off and enjoy some of the amazing spots I find, so for me the Mink Camper was a real blessing in disguise. There are some cool camp sites and I’ve recommend one further on, but I also tend to prefer grabbing my tent and going wild camping as I like to keep it rugged and get lost in the highlands giving me the complete experience of why the outdoors and especially the highlands are so special. I should add, whilst ensuring our fragile ecosystems remain intact. Remember to make sure you know the Scottish Outdoors Access Code, enjoy the beautiful outdoors but leave no trace! We want to keep Scotland beautiful and thriving, let’s not ruin it. Don't get me wrong, there is nothing wrong with camp sites and infact I encourage people to use them so they can support all of the locals within the community that run these, especially tourists and families as it’s much easier and more convenient at times, you usually have a little camping community of its own on some of the camp sites too, providing an extra feeling of safety at times for some, some information on where to explore and you sometimes end up getting to meet new people. But being a local and doing what I do, l have stayed in many camp sites and the challenge for myself and of course Nacho the Jindo (my dog) is that l prefer to go someplace with him l have not been before, and that is a bit more remote just us, where I can also focus on my photography. I love nature photography and having a more remote base with solitude for when I’ve spent hours and hours waiting for the right lighting, the sky to change or a beautiful creature getting into focus on its own terms in natural habitat is more better suited for me often. It’s not always practical (or sensible) me driving or trekking to the next nearest community camp site. It makes more sense me sometimes finding a suitable spot to do what I need to, set a base there or nearby and ensure it’s safe to walk back n forth to wherever I choose my base to be. I’m always respectful of the locations I choose to set up camp, be it my traditional tent or taking something like the Mink Camper. And be it camp site or more remote wild camping. When renting the Mink Camper in Iceland you dont need to worry due to the Mink weighing 500kg you will be able to tow using a Fiat 500. l didnt have a Fiat 500 but my Jeep Sahara 4x4 came in handy, if you dont have a 4x4 you are in luck Mink Camper Scotland will be renting out a Jeep Renegade along with the Mink plus you wont need a tow license due to the Mink weighing 500kg. When l picked up the Mink Camper in Inverness l was a little worried as l had never towed anything and definitely nothing like the Mink before. Looking at the Mink Camper it’s not what I expected, it’s not at all bulky and intrusive. As soon as l hooked the Mink onto my Jeep l was ready to adventure, but I had to keep reminding myself l was towing something due to how light and versatile it is. The first part of my journey took me towards Duncansby Head, the site of some recent orca whale watching, if trying to get a glimpse of these magical creatures isn’t enough to pull anyone here, there is also the Duncansby Stacks and I’ve always wanted to see them. The walk from the carpark to the sea stacks is not too far and is actually super accessible for people of all ages, including those who are disabled. The stacks didn’t disappoint, and is a must for anyone interested in geology and rock formations etc. Their presence is definitely overpowering. After leaving Duncansby l headed west towards Tongue finding a suitable lay by near Borgie Forest deciding to post up for the night. This was my first night in the Mink, and l was super excited to try it out, and even more excited about making some food, boiling some water for a hot brew and chilling with Nacho. Just some added info, the Mink is built for two people, a child or two if you don’t mind the cosy squeeze with the little ones. So great for solo campers, couples or a small family. So don’t be misled thinking only one person will fit in here. It’s compact but it’s a bit like a tardis, more to it than meets the eye. Whilst lm sitting outside admiring the beauty of the Scottish landscape, I’m thinking to myself this is amazing. I could literally travel and live on the go with the Mink Camper anywhere, l have wifi that is built in, solar panel roof, kitchen with a gas cooker, lighting on the inside and outside, a queen size bed, bose sound system inside and outside, because of course we all have the perfect soundtrack for our travels and moments like these, plus a heater... all of this inside the Mink but just as equally important the freedom to be able to do my work on the move using the wifi if needed. It definitely ticks a lot of boxes for me! 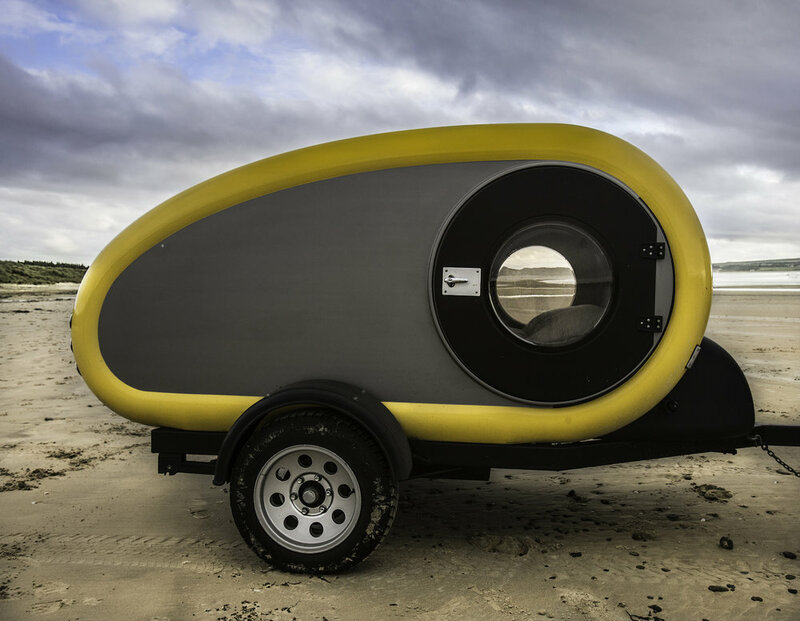 You can go completely off the grid with it and be comfortable with all the creature comforts or combine your traveling with catching up on work if need be. I can tell you that Nacho the Jindo was also pretty pleased with the Mink. I posted up at a really cool spot around 7pm and I wanted to get a few hours sleep so l could get up around 1am, make a hot brew and snap some photographs of the nights sky. It was predicted to be clear skies and one of the best places to be is up North in Scotland. If you come at the right time of the year you are also guaranteed to see the famous Northern Lights ie the Aurora Borealis, which many travel to stunning places like our cousin nations Iceland and Norway to see, but is also common in the Northern regions and islands of Scotland. Unfortunately lm just a little bit early this time but maybe next time you will find me floating about the Scottish Highlands photographing this beautiful phenomenon and it is definitely a amazing sight. The Mink is actually perfect for an Aurora Borealis hunt adventure. It was now 1am and l jumped out of the cosy mink, made a hot brew and then it was time to enjoy the night sky. For me, being able to look up at the stars in Scotland is something l find very magical and yet humbling, l encourage anyone who hasn't taken the time to do it before to do it, and if you’re too busy to just stop from time to time and look up. It definitely puts things into perspective. Before l knew it it was 4am in the morning and l had lost track of time, back to bed and up at 8am for an early start for some more adventuring. The Mink was definitely a comfortable enough bed to fall into, that’s for sure. 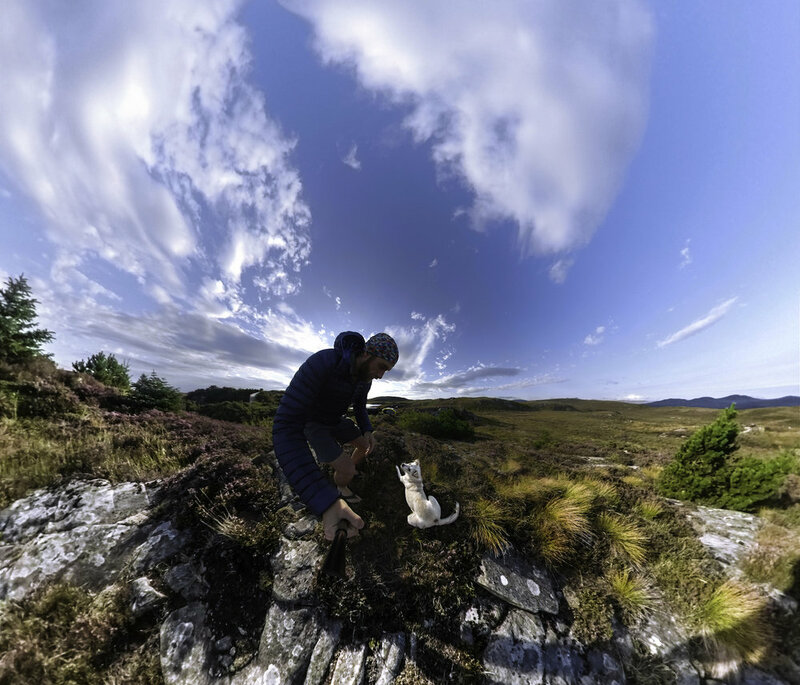 I headed towards Tongue making my way to Lochan Hakel so l could check out some ancient rock art, in particular the Grianan Cup and Ring marked stone, with the Kinloch Cup and Ring stone and some cairns not too far away. I like when I am somewhere I can stumble across our ancient history that our ancestors left. As l approached this area l was in awe of Ben Loyal, not a mountain but a beautiful Corbett but worthy of the title of the Queen of Scottish Mountains nonetheless, so l made a quick decision since Nacho hadn't had a good walk yet and l was desperate to hike to the top, yes we were doing this! So we made the walk towards Ben Loyal going up the Sgor Chaonasaid side, it was a beautiful clear day and definitely one of my most memorable hikes l have done up North with Nacho. After our hike we headed back to the Mink, it was still a very sunny day so Nacho and I chilled out by Lochan Hakel soaking up the rays before making our way towards Durness. I should add that there are so many beautiful sandy beaches to stop at along the way, so picturesque and definitely did delay my plans for making it to Kylesku. After about a dozen or more random stops for photographs (yes, really! So many beautiful spots to stop for a snap, some downtime or a picnic) and getting out to play with Nacho we made it to Smoo Cave which for me is always cool to visit because every time l go there it always feels different depending on the weather. Smoo Cave is a remarkable cave with a lot of history and it may be very popular with the tourists but still worth a visit. The cave can be explored by foot or a little boat within, and it has one of the largest entrances to any sea cave in Britain. It also has lighting inside to frame how majestic it is within. If you have kids I’m sure they’d be in awe of Smoo, great cave for exploring. Considering l only had 3 nights/4 days with the camper l did the NC500 very fast making use of every moment l had, one piece of advice l would recommend is take at least a week to explore the NC500 as you won’t regret it and it means you can fit in more time on some of the beautiful spots, great places to eat on the way getting to know some of the locals and even take up some activities in the area. There is a great camp site in Sango Bay which is right next to the beach after Smoo cave and its stunning, on a bright sunny day you will most definitely feel like you are in the Caribbean. After leaving Smoo Cave I kept getting detoured and finding little secret roads l wanted to explore. You never really get lost on a roadtrip, you just find somewhere new to explore. The West Coast has a special place in my heart, the geographical features on the west coast of Scotland l find absolutely breathtaking and something pulls me back every time. It was now getting dark and l still had to make dinner and wanted to find some place that was equally as good or better than the previous night. I finally arrived somewhere that looked promising managing to find a wee hidden spot near Duartmore Forest. One thing l must make you aware of is NEVER spend a night on the areas marked passing place, this is purely for oncoming vehicles or if you want to pull over so you can let someone behind you take over or maybe take a brief moment to enjoy the view. These are located all over the single track roads in Scotland. Remember basic common sense safety (and respect) as well as the outdoors code. As l got settled into my hidden spot near Duartmore Forest, it was time to get some food made and another hot brew then early to bed so l could get up and watch the stars again. The Milky Way was meant to be in clear view tonight but unfortunately was over the hill from where l was parked with the Mink Camper (always park the Mink somewhere responsible) as l had hoped l could get a clear shot of the Mink under the Milky Way, but hopefully next time. My night was definitely one to remember, as l had made the right decision to wake up and watch the stars again. I had woken up to stars constantly shooting through the sky and even getting the chance to witness a meteorite that entered the earth’s atmosphere breaking up into multiple pieces and disintegrate with such amazing colour. What a magical night it had been and one to remember. It was time to hit the road again, and l didnt want to leave but l had to return the camper the next day so l made my way towards Achmelvich Bay then started making my way through more of the impressive West Coast. Being a climber/mountaineer l am on the constant search for what l can climb and also being someone that gets a high being in nature l am constantly looking for what loch l can jump into. Far too many to choose from when on the West Coast, which is probably why I love it there! As l slowly made my way closer inland l couldn’t help but get out, make a hot brew (I know I know, I drink a lot of tea) and sit with Nacho staring at how beautiful Suilven is (Suilven is only 731 metres, not too big but one of Scotland’s best known and easily identified mountains). I am still yet to climb Suilven, but that day l will is fast approaching. I was planning to camp out some place that wasn’t too far from Inverness but still close to the mountains and forests, so l made my way and came across Garbat Forest where l spent the night after hiking to the top of Ben Wyvis (935metres) with Nacho, which made a great end for an amazing few days in the Scottish Highlands with Mink Camper exploring. After dropping off the Mink Camper at its homebase in Inverness l can honestly say that this is one of my best and most luxurious portable travel experiences l have ever had in the Scottish Highlands, helping make it very easy to explore whilst constantly on the go, and it helped with the kind of work I do also. The thought that has gone into the sustainable and comfortable Mink is great and this is only the beginning. Mink are already a hit throughout Iceland and plan to launch in Scotland in 2019 with an upgraded version from the one l was using, plus you will see Mink launching in many other places on an international scale.